3 wooden panels that can be connected. Each panel is 66 1/2" tall by 15 1/2" wide and about 1" thick. 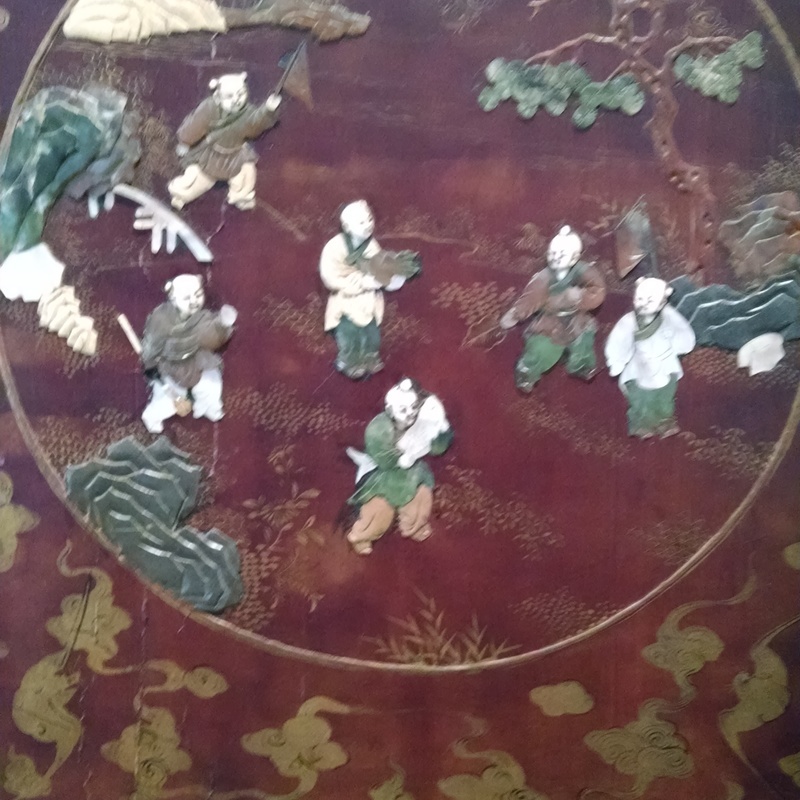 Various activities and hunting scenes are depicted with inlaid material (Jade?) A few of the inlaid pieces are missing. Has been in my family for generations. Thank you for submitting your item for appraisal. This appears to be a fragment of a late 19th century chinese Qing Dynasty folding screen, decorated with lacquer, gilding and inlays of soapstone or Bowenite. These screens were produced in larger numbers and there is a good supply at auctions today. The estimate is based on similar actually sold at auction. There is no measurement for the sentimental value you might attach to the item.